“I am Marta and I’m from Spain. I’ve studied at EC for 5 months! I lived in the North End apartments for the duration of my stay and the location was my favorite part (less than 10 min walk to the school). The neighborhood is called little Italy and it is very nice and quiet. There is a great deal of restaurants and a really good atmosphere. EC is unique because of the community and making friends from other countries. 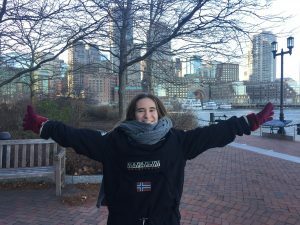 Click here to find out more about the English courses in Boston and how you too can embark on a learning English adventure.